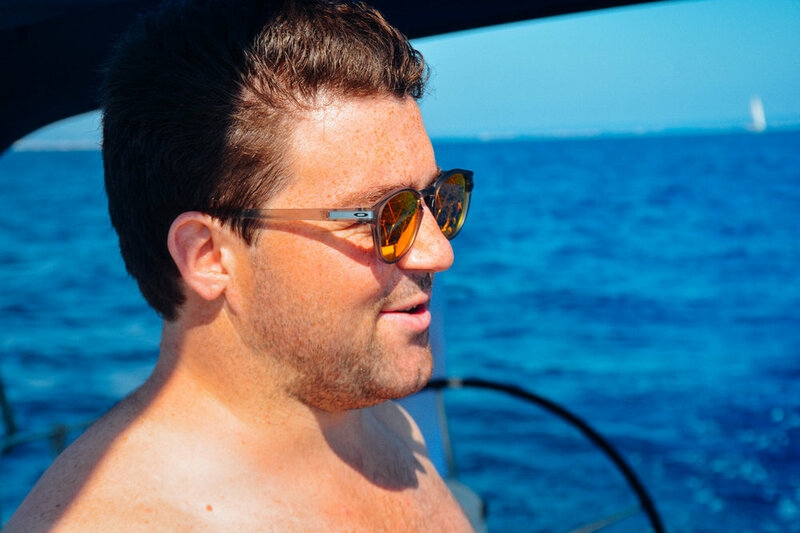 After having the opportunity to travel around Mallorca by car & bus (read: a photo guide to mallorca), it was time to test out the waters (literally) by joining up with the product & event team over at the yacht week to explore this amazing island by what other than, boat. 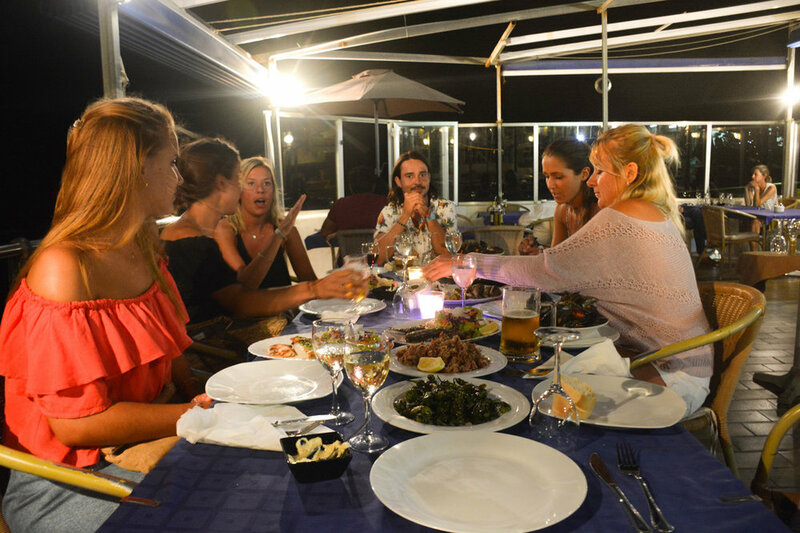 It has been quite a while since sailing with this adventurous group, 2013 in Sicily to be exact. Considering I only had the weekend, I am only able to share a sneak peek of what this route will shape out to be. Thanks to our Mallorquin(?) local, Pau (read spanish skipper babe whose doppelganger would have to be Johnny Depp in Pirates of the carribean if it were up to me). We were able to trust in his local ability to show us the best spots around. We started off by driving over to the port where we of course, went grocery shopping for the weekend. Greek yogurt, hummus & eggs were in the cart, of course champagne was already on ice (but that goes without saying). Maps were out, and thinking caps were on, where are the best spots on this island? The sun was out and we were eager to get the green light to head out. As we left the port, it felt like home being back on the water. 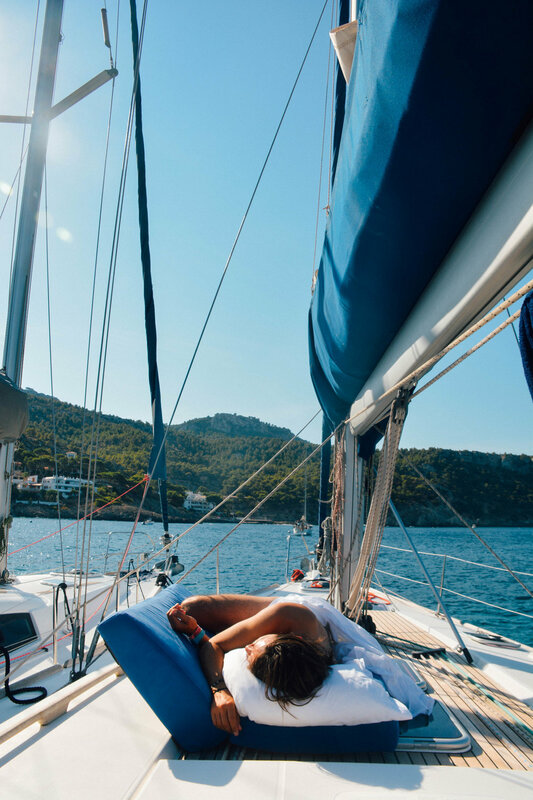 With salty sea-spray cooling down the deck and the motion of the ocean rocking us into a little kip in the sun, nothing could wipe that smile off my face. It was not long before we made it to El Mago, our first swimming spot. With gorgeous caves to the right, and paddle boarders in the distance, it was not long until we were diving in with the schools of fish below; they must have been heading home after a long day at the office ;). 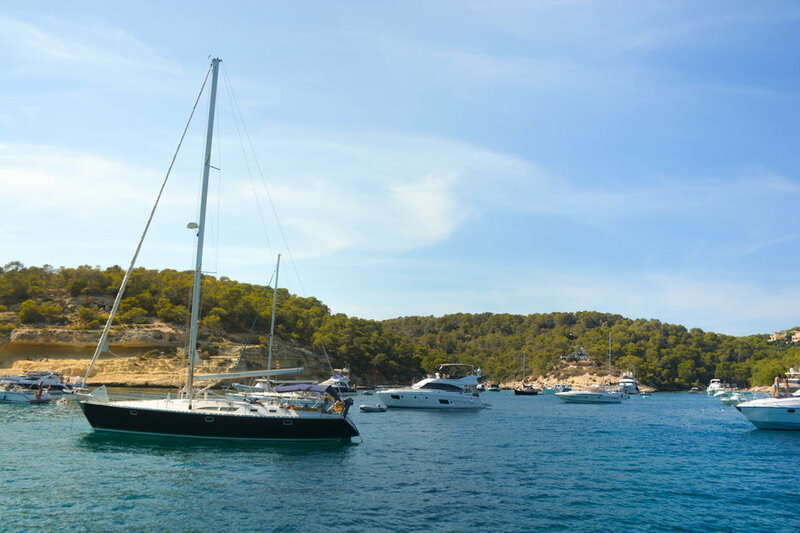 After making conversation with a few locals, in which we ran into some yacht weekers by coincidence (the community is e-v-e-r-y-w-h-e-r-e) we pulled up the anchor and were on our way to Sant Elm with an ETA just before sunset. We started day dreaming over the houses that were built cliffside, imagining what life would be like — though we could not figure out if they were able to jump in for a swim at their convenience. Was there en elevator that ended up into a little cave somewhere? I guess we will never know. 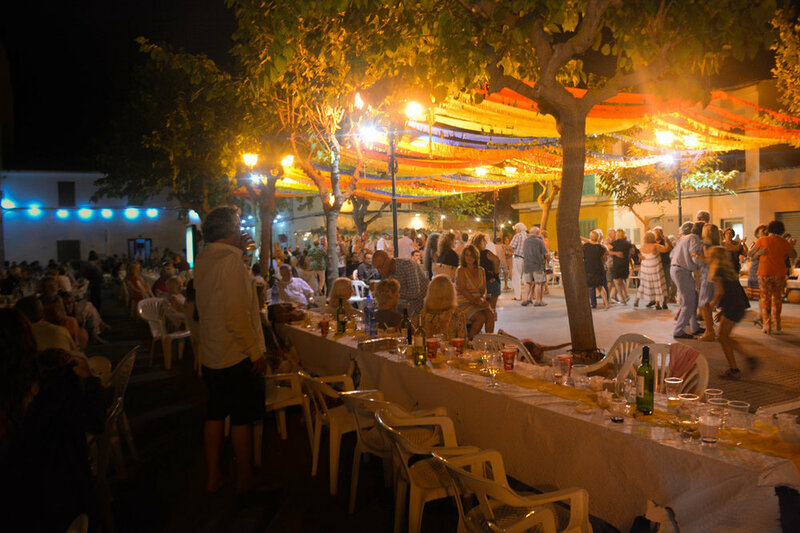 After passing Port D’andrarx, Sant Elm up slowly appeared in the distance, a secluded little sea town with gelato and trinket shops that sell local salts, oils and wines and of course spectacular seafood. 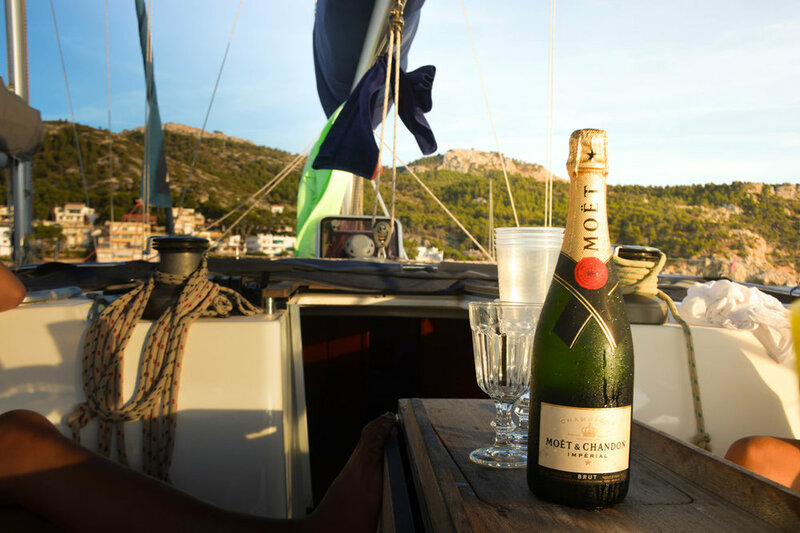 After popping open a bottle of bubbly, we piled into the dingy and headed to shore for dinner and drinks. We trusted in Pau (#trustinpau) to choose a restaurant that would blow our minds away, and as expected it did. Black ink Paella, Calamari, Muscles, Aioli, etc we clearly left satisfied. After dinner we took taxis into a local town where spanish music was blasting and cocktails were flowing. Jill and I took our pillows and comforters and decided to sleep up on deck. The cross winds and views of the milky way were just too out of this world to sleep down below. Absolutely fascinated by the stars, it took hours to fall asleep. This island is certainly an inspiring one. I woke up to the sun rays tickling my face from the east side of the island. With a cheeky grin, I made breakfast, grabbed a snorkel and jumped right into the deep crystal clear sea. 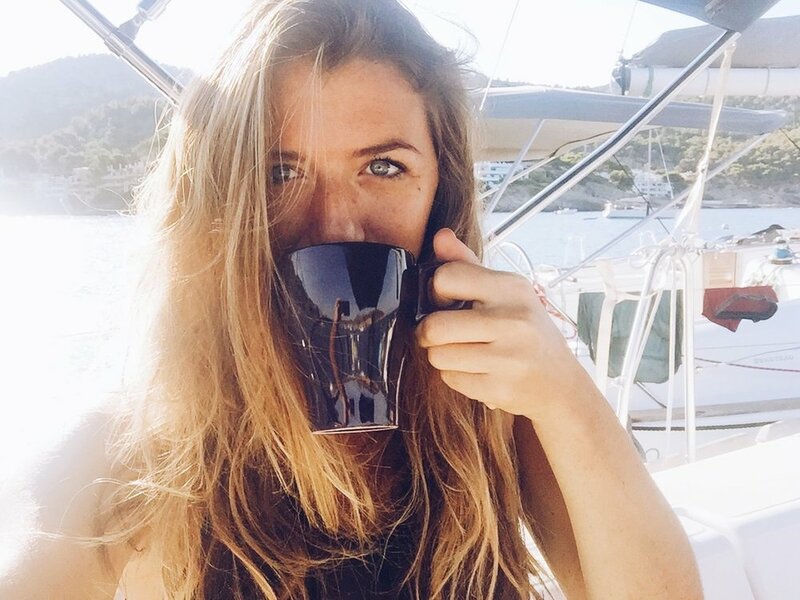 Ben made the most marvelous cup of instant coffee upon my arrival back to the boat, and nothing could ruin such a peaceful moment. The team wandered over to Isle de Dragon for the day, while Jill & I decided to man the fort by tanning up on deck. After a few hours we took the dingy into shore and indulged in a bottle of rose with a cheese / meat plate. 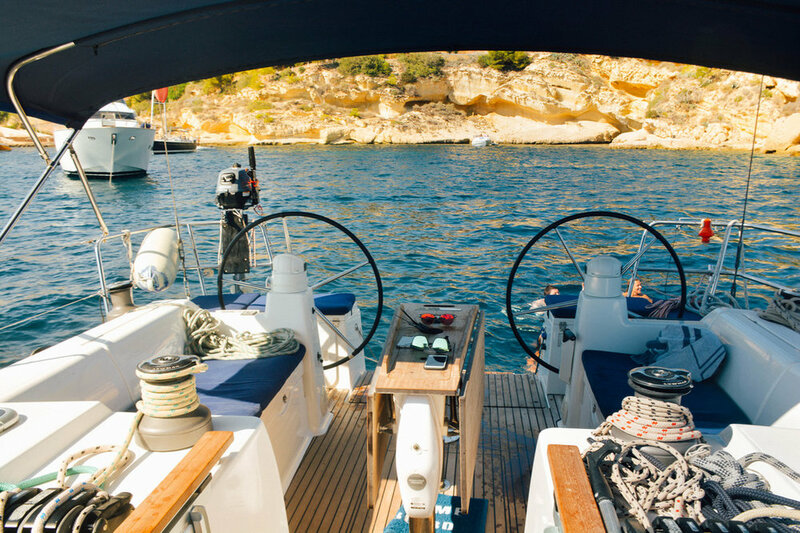 In the meantime, the crew met up with the guys over at Peter Diving System to explore the underwater world of the Mediterranean for an hour, with no diving experience necessary I think it will be such a success for the yacht week family. After one more snack on board it was time to head back to Palma. The rest of the team would sail for 5 more days to discover even more beautiful parts of the island. Keep your eyes open, because this route is going to be a good one. Find out when bookings open in October, will you make the cut?